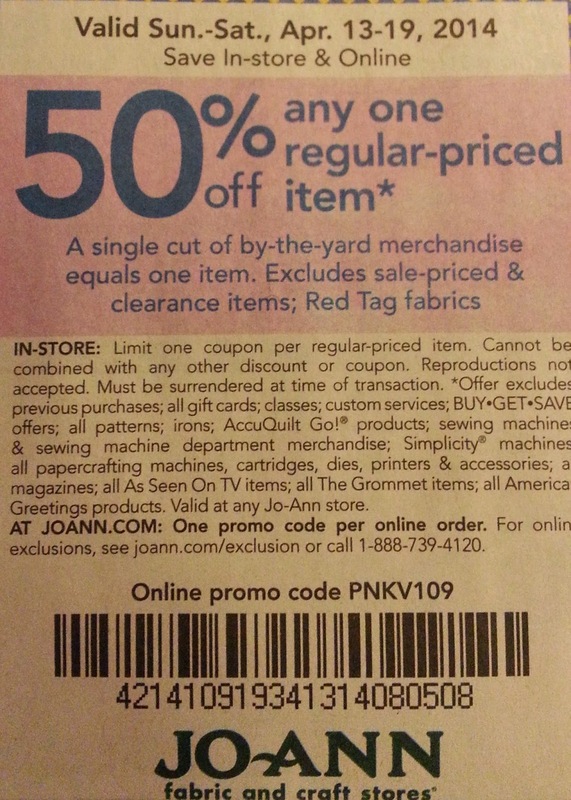 Okay my fellow Joann shoppers, I learned a trick today at the checkout that I'm sure you'll all love (if you don't already know it). As soon as I left the store I called my mom and was all "OMG guess what I just learned?!?" and we both gushed for about 5 minutes. And then lamented over the fact that we had each just spent $50 there less than a week ago. If you have coupons and the codes end in different numbers (i.e. 508 and 405 on the coupons above), you can use them in the same transaction! 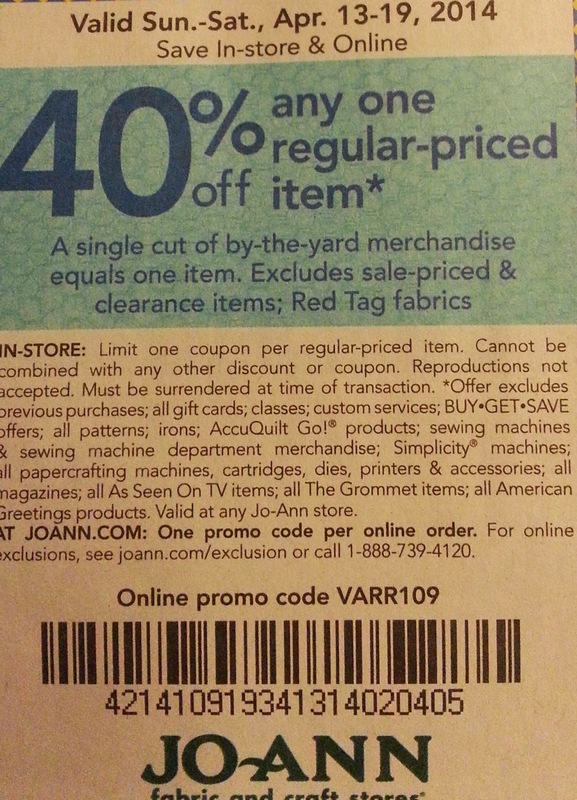 I was able to use one 50% off coupon and three 40% off coupons in one transaction today, and it was awesome. I just have to let the world know (hopefully I'm not years late to this party). Hopefully it will help somebody else avoid buyer's remorse at the checkout when you realize just exactly how overpriced everything was.